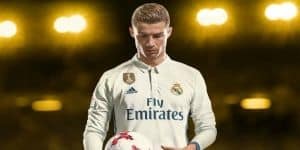 FIFA 18 Wishlist: 18 Things We Want to See | Nerd Much? With EA’s big E3 2017 press conference taking place on Saturday, we’re expecting a huge portion of it to be dedicated to EA Sports as usual, and that means we’re expecting a big info dump for FIFA 18. Earlier this week, though, EA dropped the FIFA 18 reveal trailer, and along with getting us excited for this year’s iteration, it got the gears in our heads turning about a FIFA 18 wishlist. Currently, FIFA only allows you to do practice drills alone. However, before a local match is played, players participate in drills together: competing against each other in various tasks. From trying to get a goal on your opponent to kicking the ball into the most bins in a skee-ball—esque challenge. Additionally, playing against a person instead of a CPU is—generally—more challenging and thus, more helpful. And who doesn’t want bragging rights over a local competitor? Especially when it comes to shots, training mode often takes place from a 3rd person, over the shoulder perspective. I believe the intention here is to teach players the nuances of aiming your shot but the reality is it doesn’t always translate to the game since that camera is drastically different. A few training modes allow for a default game camera but in FIFA 18 I’d love to see all drills allow for both angles. The addition of women to FIFA is relatively new (first appearing in FIFA 16) but what blows my mind is the fact that it’s literally impossible to have a women’s team face a men’s team. I understand why this may the case in career modes and (maybe) even online matches but in quick, local play matches I don’t understand why this is a thing. EA’s FIFA may be a realistic sports simulator but it’s still a video game. If I can play the Chicago Fire versus Real Madrid or, to be even more ridiculous, the Chicago Fire versus the Chicago Fire with each team wearing identical jerseys you can’t cite “realism” as an explanation. 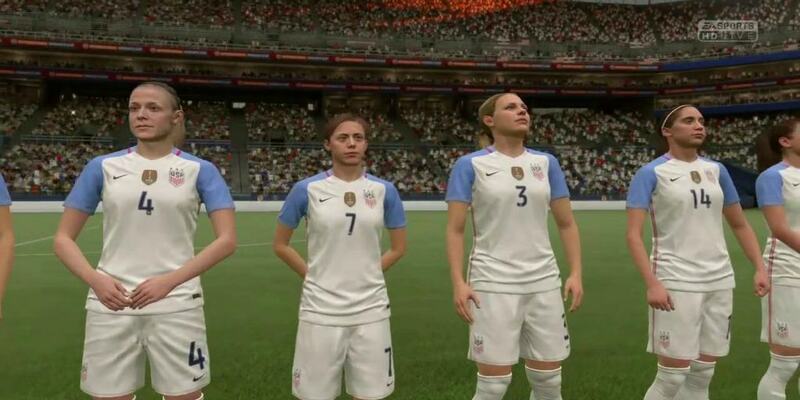 At this point in FIFA there really aren’t many women’s teams to choose from, with FIFA 17 featuring a total of 14 women’s national teams. So many sports sims are dominated by men because of the nature of the sport, as in the case with American football, or because men’s leagues are typically more popular than the women’s league, as is the case with U.S basketball. But unlike games like NBA 2K, EA’s FIFA is a representation of the global sport rather than an individual league. It makes sense, then, that women’s representation should be increased in order to better represent the scope of soccer. Currently the only women’s teams are national teams. I’d love to see some women’s soccer leagues get added into the mix. *Frauen-Bundesliga, anyone? (*just to name one). On that note I want more leagues in general. The addition of Japan’s soccer league in FIFA 17 was a delight. I got to play with teams I’d never played with before and, in turn, build an appreciation for Japanese soccer. If it wasn’t for this game I’d have no connection to Omiya Ardija. But now, I remember them fondly as I reflect on the J-League FIFA tournament I played against my brother. Likewise, I’d like more divisions added for the same reason. Where does our professional talent come from? Adding additional divisions would allow FIFA players to explore who is rising up the ranks and that could translate to real life support of lower division soccer—which is pretty damn cool. I briefly played FIFA 17’s The Journey and it was a solid start. 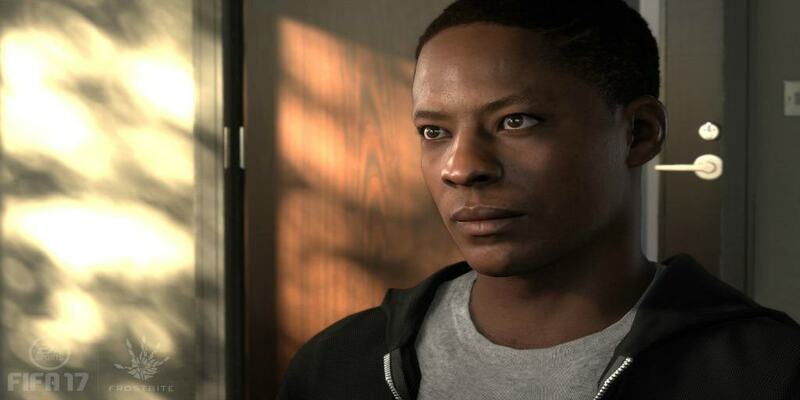 The story was nice, the dialogue options added some intrigue, and I had fun being Alex Hunter. But the matches themselves felt a little off. Unlike NBA 2K17’s story mode, being primarily in charge of one player on the soccer field isn’t as easy (or fun) as being in charge of one player on the basketball court. Honestly, I want my team to win and couldn’t care less about Alex Hunter’s specific performance. Perhaps FIFA’s story would benefit from being able to toggle between rolls. Example, you’re “Alex Hunter” during drills etc but the coach during the games themselves. I know there’s always coaching modes in FIFA 17 but FIFA 18 needs to do a better job figuring out what a good soccer story looks like. Even if your commentary can only get so good one way to keep it fresh is to let players listen to the commentary in different languages. This would also be more reflective of real life soccer because fans, especially bilingual ones, usually choose the channel(s) that offer their preferred language. Personally, I love hearing soccer commentary in Spanish and think it’d be fun to be able to see that in FIFA 18. Like many things in life, soccer quickly becomes Eurocentric. Sure Europe has some of the best teams in soccer but there are more people in the United States watching Liga MX (Mexico’s soccer league) than watching the Premier League (Europe’s soccer league). So here’s hoping EA’s FIFA brings more globally minded representation to what is clearly a global game. Let’s get some improved graphics and animations to these fans. I want more vivid and lively supporters sections. I want to see Portland fans saw that tree in 4K with the enthusiasm they have in real life. Even just adding more personable signage or throwing in some local chants could be fun. Can you imagine playing a game in the Chicago Fire’s stadium, Toyota Park, and getting to hear Hot Time In The Old Town Tonight when your approach the net. I love FIFA but I play the hell out of it and the matches are always intense. Sometimes, even in a realistic sports sim, you just want to have fun. This is where new game modes and custom rules come in. Perhaps I’m in the minority but this is something I’ve already been doing for matches and official game modes and custom rules would just make it easier. Here are just some examples of the ridiculous ways I’ve played FIFA, and it’d be great if FIFA 18 incorporated its own bizarre challenges: shots only (no passing), same color same team (for added confusion), or hacker match (red cards count as goals). FIFA’s “advanced moves” aren’t that advanced or that plentiful. If you want to get really competitive you’re stuck looking up YouTube guides. On the same note the tutorials to do said moves need to be more thorough. NBA 2K17 goes above and beyond with this, actually showing players how to move the joy-stick and what buttons to press (and when). Many games that primarily thrive on competitive play offer several ways to get unlockable content. It’s a little bias (because I rarely touch the campaign or story mode of a game) but I would love multiple ways to unlock outfits. Surely my hundreds of hours playing against my brother must be worth something in-game, right? I fondly remember relying on the “Ask Madden” function in Madden, especially as someone who lacks football knowledge. This would be a nice feature to add into FIFA as well: either for formations or set pieces. Special themed events: ex. Halloween FIFA. The FIFA community is as strong as ever, but incentivizing play/adding a new experience can create excitement or amusement amongst a fan base. Personally, I’d love something really out there. Like a Halloween FIFA where all the players are zombies. 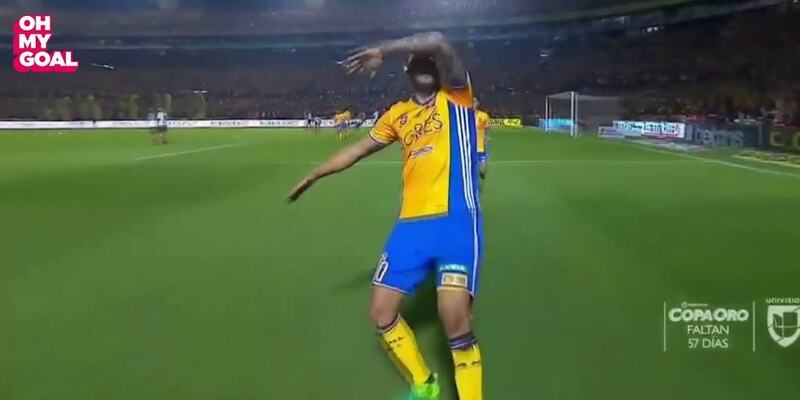 You don’t even have to change the gameplay at all, I just want to see Zombie Gignac execute a poor dab after scoring. We have the option to end matches, restart matches, or go to penalties but what about golden goal? Granted, it’s an older system (in terms of real soccer) but personally, I like it and would love if FIFA 18 accommodated that. Or, to keep it realistic, add extra time (i.e two halves of 15 minutes). Options are always good and environmental changes add to the fun (and realism) of sports. Weather and time variety should expand across every game mode. Scenario driven challenges based on iconic games. Once again this is taking a page from the Madden franchise. These challenges would be based on real iconic games in soccer. To give a recent example, there could be a challenge modeled after the Barcelona vs. PSG match: Barcelona lost 4-0 against PSG and (due to aggregate goal i.e the total goals scored is what counts) needed to score a lot of goals to come back from that; which is exactly what they did, winning their next game 6-1. Thus, the challenge could be: Can you come back from being down 4 goals (when aggregated goal applies)? What do all of you want to see in FIFA 18? Sound off in the comments below — we’d love to hear your thoughts. For more on the biggest games releasing in 2017, stay tuned to Nerdmuch.com.